Welcome to the latest edition of ResiNews, the online newsletter for ResiNet subscribers. Thank you for the great feedback on our first issue of ResiNews last month! 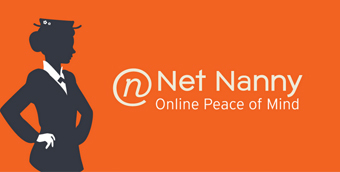 Through the newsletter, we aim to offer a discussion forum for web-related topics relevant to small businesses and families, such as data security and protection against unsolicited information. ResiNet invests in the best-of-breed technology to get high speed internet signalResiNet has invested substantially in the best-of-breed technology to get high speed internet signal into areas that previously had no coverage. 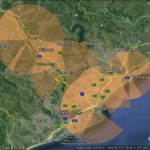 We have erected radio towers in the Dolphin Coast Area as well as the Outer Highway area, to boost coverage to large parts of KZN. This map shows some of the areas into which the ResiNet service is offered. The need for speed – how fast should I go? The question of what speed to select is discussed here. . . . 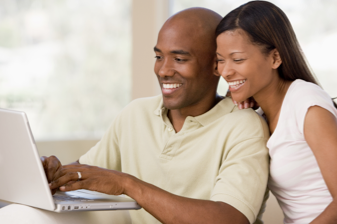 The ResiNet internet service currently comes in four speeds: 384kbps, 512kbps, 1024kbps and 4096kbps. A ResiNet technician is happy to discuss your data needs with you, and advise you on the most efficient and cost-effective speed choice. • kbps or Kilobits Per Second – one kilobit is 1000 bits, and bits are the smallest possible unit of information (a little on/off switch). This was typically used by mobile connections, but as mobile carriers get faster they’re switching over to megabits. • kBps or KiloBytes Per Second – Bytes are made up of eight bits, so one kilobyte equals eight kilobits. File-sizes on your computer are typically measured in bytes, so you’ll usually see kilobytes used by download utilities. Bytes are capitalised when used in acronyms to distinguish them from bits, since both start with the letter B. • mbps or Megabits Per Second – The default, as we’ve already discussed. It takes 1000 kilobits to make a megabit. • mBps or MegaBytes Per Second – It takes eight megabits to make one megabyte. Most of the files on your computer are measured in megabytes, and if you have a fast connection you’ll see this used in download utilities. Reliability Get peace of mind knowing your services are available with a guaranteed 99.9% uptime, and with a sound financially-backed service level agreement (SLA). Security Your data is yours. Microsoft will safeguard it and protect your privacy. Up to date No need to pay for version upgrades; updates are included in your subscription. 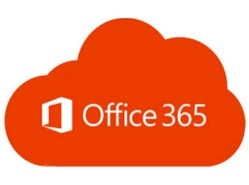 New features are rolled out to Microsoft Office 365 customers in an IT-configurable experience. 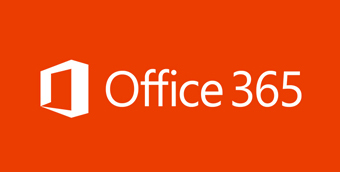 Microsoft Office 365 is available for “rental” on a monthly basis from internet service providers. Click here to check out the product. All new Resinet subscribers are eligible to take advantage of this great new offer – FREE usage of Microsoft 365 for a whole year! This offer is valid for ResiNet sign- ups that happen before the end of December 2014 and Microsoft 365 will only remain usable if it is renewed after the free one year offer. 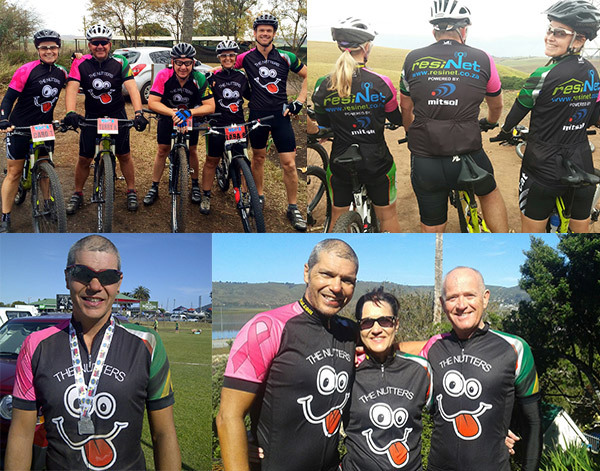 ResiNet recently sponsored cycling shirts for a group of up and coming adventurous mountain bikers – The Nutters – who hail mainly from North of Durban. The shirts are being sold and worn to raise money and awareness in aid of breast cancer research. Top left: Front of shirts. Top right: Back of shirts. Bottom left: The pink Breast Cancer Awareness sleeve. Bottom right: The three Nutters recently competed in the gruelling 100km Karoo2Coast cycle race…all of them finished and received medals. 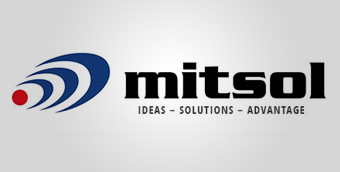 Copyright © 2014 Mitsol (Pty) Ltd, All rights reserved.